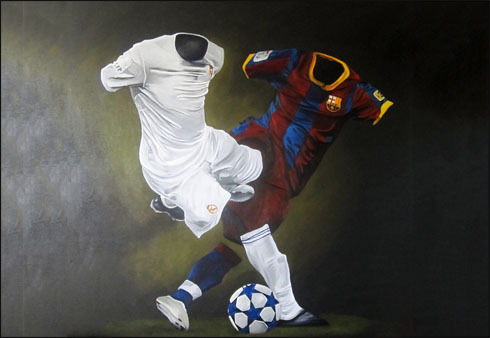 Football is tribal, it is us against them and can make you swear and cry in anger and in joy. 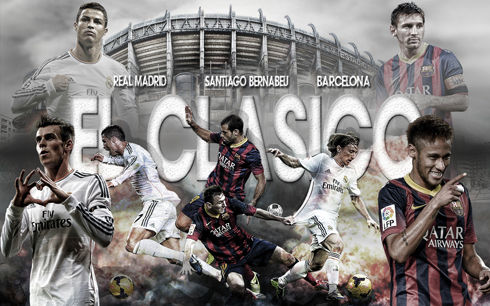 There are some truly special rivalries across Europe, but few can deny that a "El Clasico" is deserving of its special name and special place in the hearts of football fans across the planet. The Santiago Bernabeu plays host for the most eagerly awaited and watched club match anywhere in the world. La Liga leaders Barcelona will be looking to maintain their impressive start to the season and will likely not break-up the magical partnership of Messi and Neymar, who have scored an impressive 15 goals between them. Ronaldo on the other hand, has scored 15 goals on his own, which is why he is the superstar he is and surely in-line for a second consecutive FIFA Ballon d’Or. 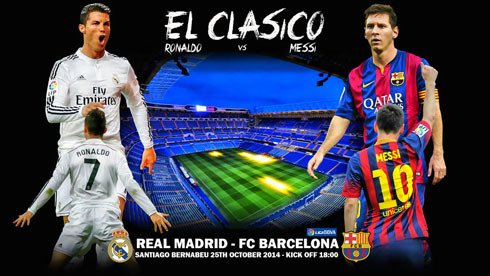 This thrilling Real Madrid vs Barcelona clash will kickoff at 6PM in Spain next Saturday afternoon (October 25) and you can watch all the action live on both Sky Sports 5 (UK) and on beIN Sports (USA). To add spice, if any were required, we will likely see a long-awaited first competitive appearance for the banned Luis Suarez in Barcelona colours, who will provide additional threat up-front for Barça when required and probably from the bench. Real Madrid are without the services of the injured Gareth Bale, who continues his recovery from an abdominal injury which may mean that James may once more provide cover there, in a front three consisting of the richly gifted Ronaldo, Benzema and James. 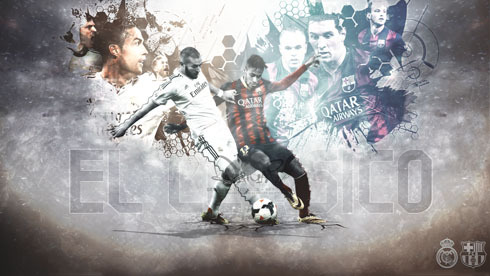 The fixture is a mouth-watering showcase of two of Europe's most richly-assembled clubs, with two players who have dominated the FIFA Balon d’Or in recent times. 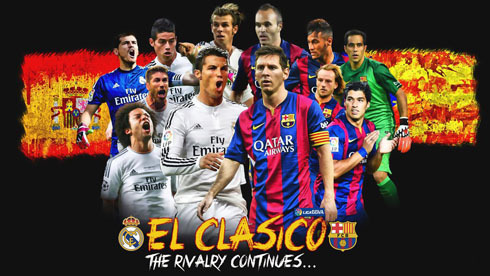 We can count on all the glitz and glamour that football fans have come to expect from El Clasico encounters and undoubtedly, some fireworks up-front. We should expect the deployment of the attack-minded formations that both teams have found success with in the league and in Europe, having swept-aside their midweek European opposition without any dramas. Carlo Ancelotti: "Ronaldo is in a fantastic moment and is doing really well, it is impossible to do better. He is really focused and wants to try to do the best so this moment will continue." Iniesta: "He's better adapted to the club this season. He has been delivering top performances week on and week off and he really is a unique player that we're delighted to have playing for us", stated the Spanish midfielder ahead of this Saturday's Clasico. Real Madrid probable line-up: Casillas; Arbeloa, Pepe, Ramos, Marcelo; Rodriguez, Modric, Kroos, Isco; Benzema, Cristiano Ronaldo. Barcelona probable line-up: Bravo; Alves, Pique, Mascherano, Mathieu; Iniesta, Rakitic, Busquets, Xavi; Messi, Neymar. Real Madrid are on a hot streak at the moment, having won their last five games in La Liga and scoring 10 goals in their last two fixtures against Levante and Athletic Bilbao. 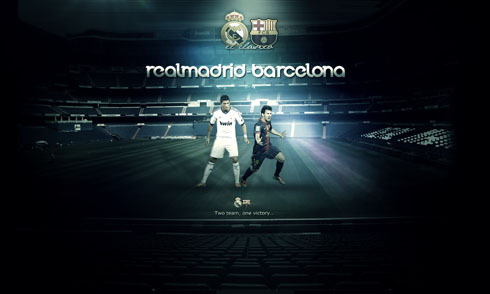 Real Madrid have had much success with a 4-3-3 which has proved effective in winning matches but they may decide to sacrifice some attacking power to deal with Messi and Neymar who will likely spearhead the Barça attack with Suarez featuring at some point in the match. The loss of Bale is a blow to Madrid and may see Ancelotti use a similar formation to the one we saw against Liverpool, with Isco and James Rodriguez on the flanks of a 4-4-2 with Ronaldo and Benzema up front. Barcelona have also been utilising the 4-3-3 formation with Pedro, Messi and Neymar forming a formidable front three. Whilst summer signing Ivan Rakitic has been doing the business in the middle of the park. Keeper Claudio Bravo is still yet to concede in La Liga with eight consecutive clean sheets. For El Clásico though, we think Barça will use a 4-4-2, with Iniesta moving to a left forward position as Madrid are likely to flood the midfield due to the absence of Gareth Bale. Ronaldo is in the form of his life and is now only one goal away from equalling the all-time Champions League goal record after scoring his 70th European career goal after just 23 minutes at Anfield and Ancelotti was able to withdraw his prized asset on 75 minutes with the El Clasico in mind. The Portugal captain has scored three hat-tricks already this season and Barça's defence will have to be at their best to stop him getting on the score sheet on Saturday. Messi will be chasing a record of his own against Madrid though, as he looks to become La Liga's all time top goal scorer. The record set by Bilbao's Telmo Zarra in the 40's and 50's stands at 251 goals, with Messi just one behind making any goal he scores against Madrid all the sweeter!